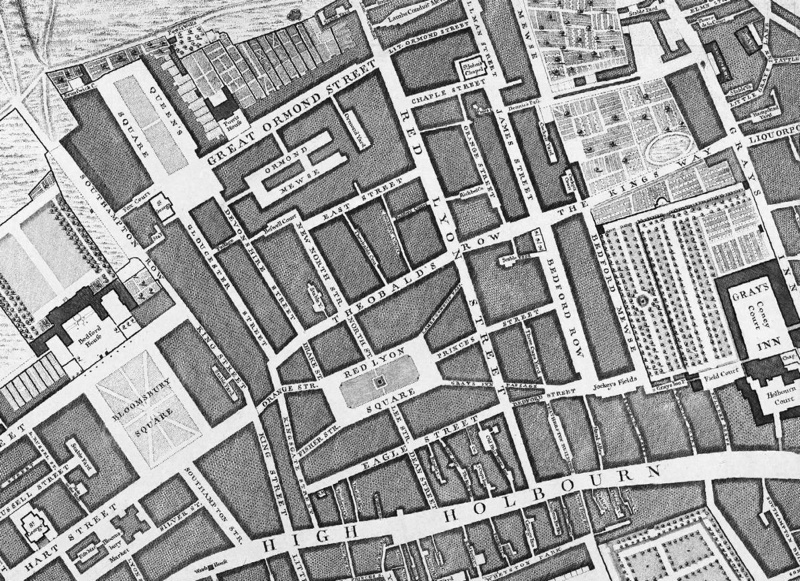 The image above is a photo of part of a large map of London, created just after the Second World War and showing buildings that were damaged or destroyed in the Blitz. 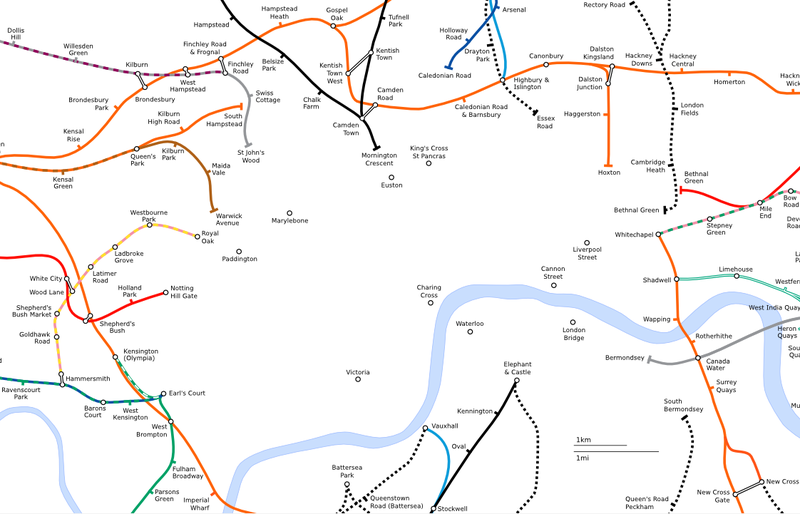 The map is the centrepiece of a small free exhibition at the London Metropolitan Archive in Finsbury, which closes on 29 March. 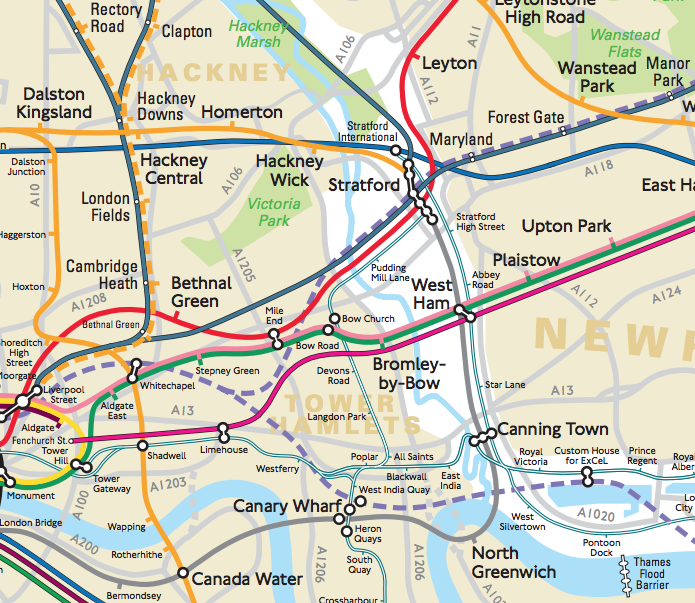 18 maps, covering the old Metropolitan area of London (i.e. 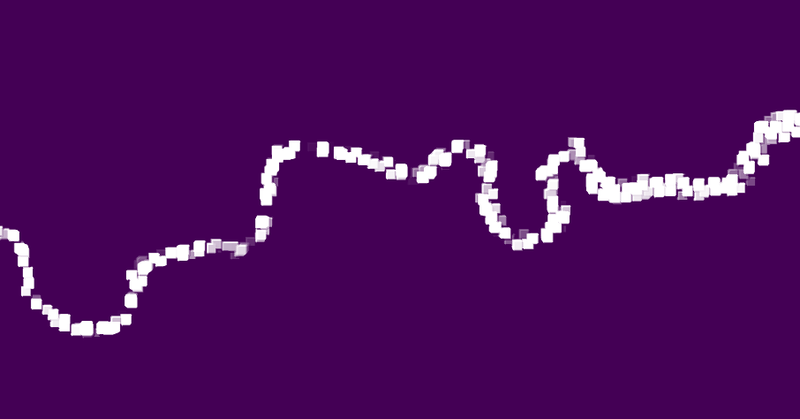 no further east than the Lea Valley!) have been reproduced onto panels and tiled together to create the map. Some other highlights of the exhibition include a wall of photographs of the devastation at Smithfields Market, following a direct hit by a V2 rocket. The map is a dasymetric map, in the style of Charles Booth’s Poverty Map (and my modern update) where individual buildings are coloured in according to some kind of attribute, in this case bomb damage. Black indicates completely destroyed, while purple shows damaged beyond repair and red shows buildings that are severely damaged but which might be salvageable. Green shows sites where rubble was being taken to. Large circles show V2 bomb sites and small circles show V1 bomb sites, although the map is not comprehensive. 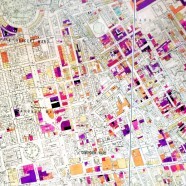 Looking at the map as a whole (the section above is only covering the Bloomsbury area) it is striking how much more damaged the East End of London was, compared to the West End, and also the huge swathe of damage running through the western half of the City of London (showing up in purple in the picture below) where little was left standing – except St Paul’s Cathedral. I wonder if the LMA has any plans to put these online? A friend uploaded scans of a huge amount of these maps to Flickr around 2008, but unfortunately the LMA issued a takedown request, and not only the images but a useful amount of notes and comments were lost. Shame. That said, this does look like a nice little exhibition. I just wish it were more accessible to those of us unable to visit. That is a real shame. If the maps themselves are out of copyright (50 year rule) and you take your own photographs of the original maps, then presumably you can do what you like with those photographs? LMA would only be able to claim copyright over their photos of the maps, not the maps themselves. Readers: you’ll have to move quickly to see it though since the last day for the exhibition is Thursday! The maps themselves are actually all available individually in the adjacent room: top two drawers at the very back. You will need to bring ID and proof of address in order to get your ‘History Card’. Nice. 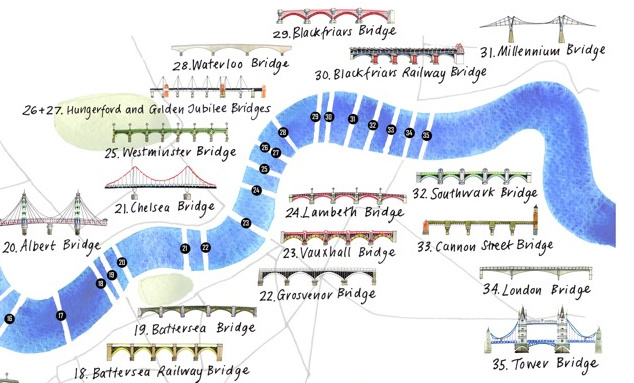 Wasn’t this dasymetric style map published in the London Topographic Society’s now very collectable annual release several years ago (with the same-ish colours)? My father-in-law has a copy, apparently worth £250 now. Well worth the £20 subscription fee. May be wrong. Key point is, I like this, keep up the good work.